Bishop's Soldier (Soldat des Bischofs) inkl. 0% MwSt. 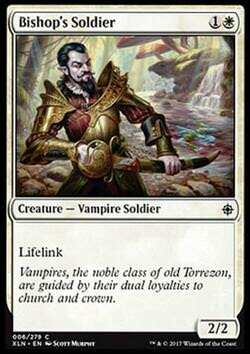 Flavourtext: Vampires, the noble class of old Torrezon, are guided by their dual loyalties to church and crown.